Greens(2 pt. ), Packing(1 pt. ), Tape(1 pt.). 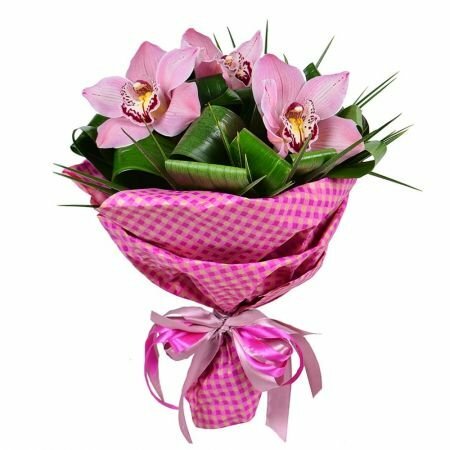 Birthday, Colleague, Daughter, Exotic bouquets, For children, For her, For mother, For young lady, Girlfriend, I Miss You, Sister, With love. 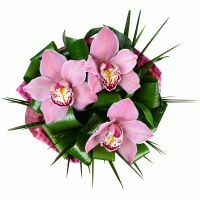 Bouquet «Three orchids» - is a magical combination of three fresh orchids and emerald greens. 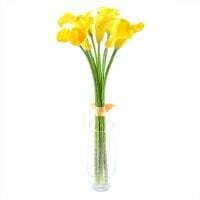 Vivid, unusual, like breathing of spring freshness, it is a perfect gift for any woman's holiday. 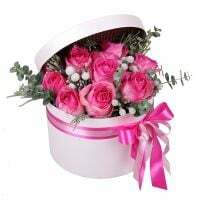 It can make happy mother for anniversary, wife for birthday, girlfriend for St. Valentine's Day, dear friend or colleague. 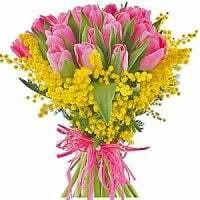 Note: design of the bouquet may differ from online image. Wonderful and efficient service and beautiful flowers. Highly recommend it! Absolutely wonderful service. I placed same-day order and it was filled within an hour. My recipient got the flowers within about two hours and she loved them. 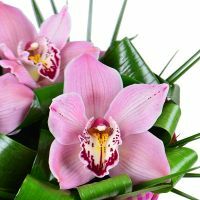 The flower look beautiful and just as described. This is my first time using this service and I highly recommend it to anyone! Manager response: Thank you very much foe such pleasant feedback! Hope to fulfill your next orders! I do not know if the flowers were delivered at all?? I had asked for delivery on friday. I was called friday evening that you do not have the kind of flowers I had ordered and you will change to different colour. 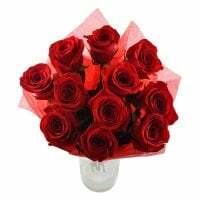 I was sent message the delivery will be on Saturday. I had paid for a picture of the delivery. I never received such a picture. I sent you two emails asking after the photo but got no reply. Manager response: Jussi Niemi, thanks for your feedback! 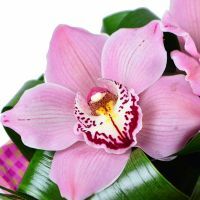 We agreed with you the replacement of the color of the orchids, since the order was paid in the evening and there was no possibility to purchase pink orchids. 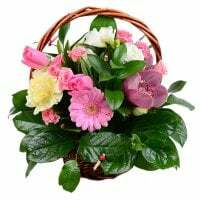 At the request of the recipient, the order was delivered on Saturday, although we were ready to fulfill the order on the date specified by you. When giving the gift, the recipient refused to take a photo. We do not force the recipients to take photos. We are very sorry that you were not happy with the fulfillment of the order.